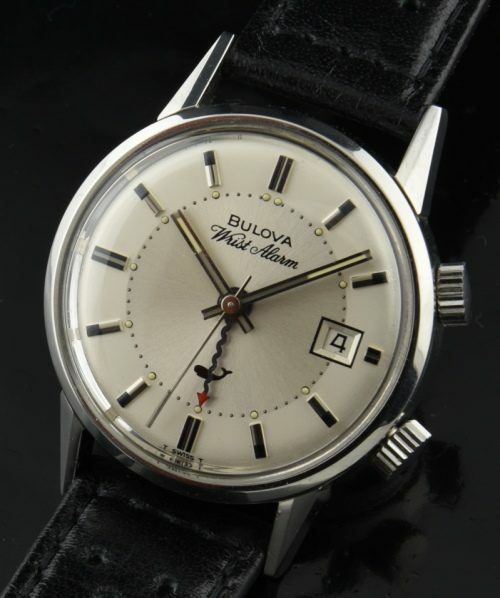 This is an UNUSED (NOS) vintage 1960’s BULOVA WRIST ALARM that was discovered in a jewler’s old stock! 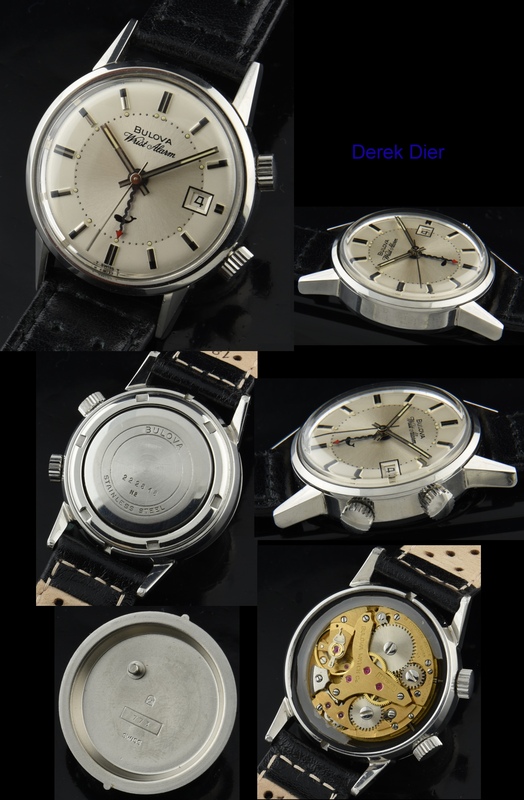 The pictures speak for themselves, as this watch is all original and pristine-including the 34mm. steel case. The manual winding BULOVA movement was just cleaned and is accurate with the mechanical alarm buzzing sweetly. The original dial is VERY clean. You won’t regret this cool purchase.